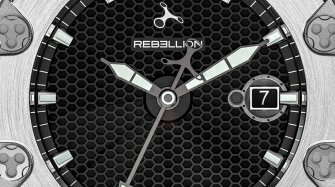 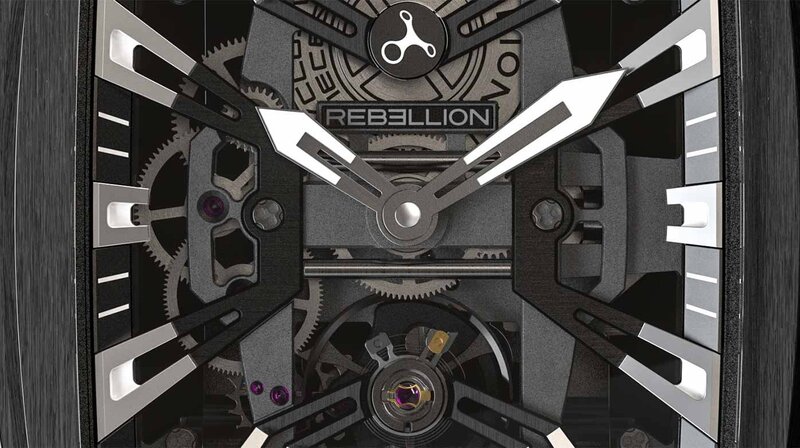 Rebellion drew its inspiration from motorsport to create this skeletonized model with full transparency aesthetics. 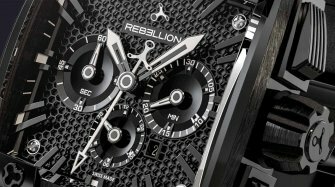 Smaller than existing models, this timepiece wears a stylishly bold square shape. 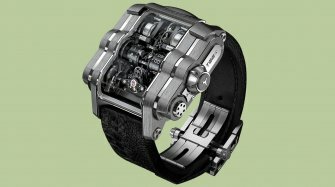 Its case in titanium or black DLC titanium (38.5mm x 40.35mm x 13.5mm) houses a skeletonized manual winding manufacture movement oscillating at a frequency of 28 800 vph and ensuring a 48-hour power reserve. 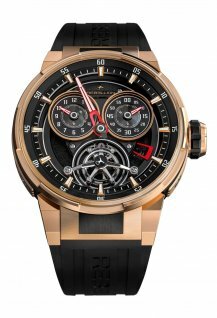 Its transparent or slightly smoked sapphire crystal dial embodies watch styling aesthetics with full transparency, enhancing its skeletonized movement that continually brings to mind the technical and stylistic audacity of a car chassis. 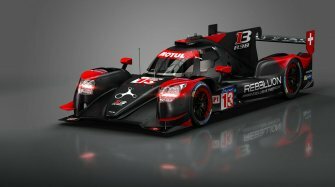 Every detail expresses and embodies a passion for motorsport. 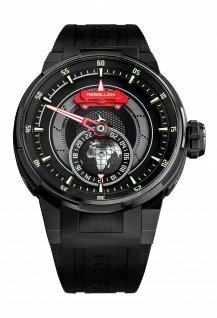 This watch indicating hours and minutes is water resistant to 50m and is equipped with a vulcanized rubber strap available in different colours : brown, black, red, blue, yellow, purple, white and orange.